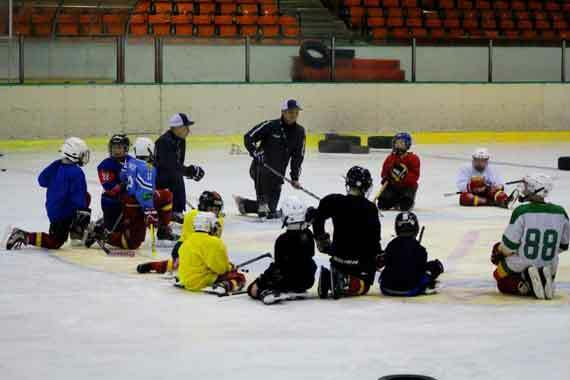 The Only International Youth Ice Hockey Team in Prague Skates Again! Just beginning to skate? Come and learn with us. Already have your own gear? Great, we will find a line for you. If you are a goalie, you are golden! The Sedpo Eagles will tie on their skates and hit the ice for the 2015 – 2016 season at Hvezda Zimni Stadium (Prague 6) and Beroun. The Eagles are looking for new recruits to replace our teammates that left Prague this past summer and build our Club for the future. Our players range from 7 to 12 and come from nine countries. English is our unifying language. We practice every weekend; we will play friendly matches verses local teams this year. 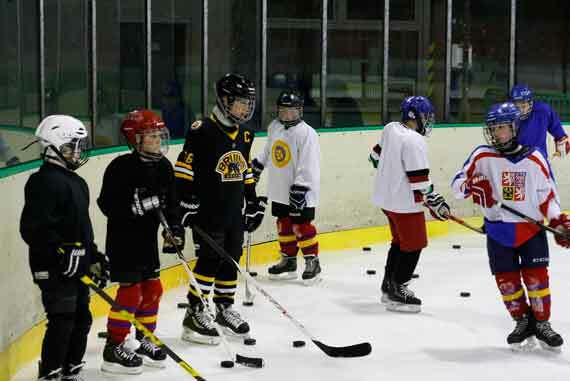 This team is a parent driven initiative born out of the desire to provide any boy or girl that wants to learn to play hockey with an alternative to the Czech hockey programs, which hold their practices during International school hours. Coach David Ohnutek has been skating for 30 years; he started playing hockey at the age of 5. He has coached hockey at all levels, youth & professional players in the Czech Republic and Europe. Coach David is a Physical Education and ESL teacher in the Czech and international school systems, and speaks Czech, English, German, and Norwegian.